Click-A-Toke, All-in-One Pipe (Black) by Cheap, fun pipes ® at Serious Jones. Hurry! Limited time offer. Offer valid only while supplies last. Love the compact-ness of this all-in-one pipe The Click-A-Toke brings the convenience of an all-in-one pipe in a form of a pen shaped design. Love the compact-ness of this all-in-one pipe. Its great for lighting practically anything. Refill your Click-A-Toke with regular butane when necessary. 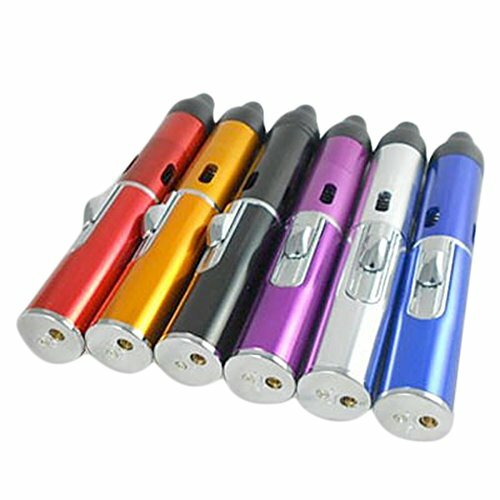 The Click-A-Toke brings the convenience of an all-in-one pipe in a form of a pen shaped design. If you have any questions about this product by Cheap, fun pipes ®, contact us by completing and submitting the form below. If you are looking for a specif part number, please include it with your message.